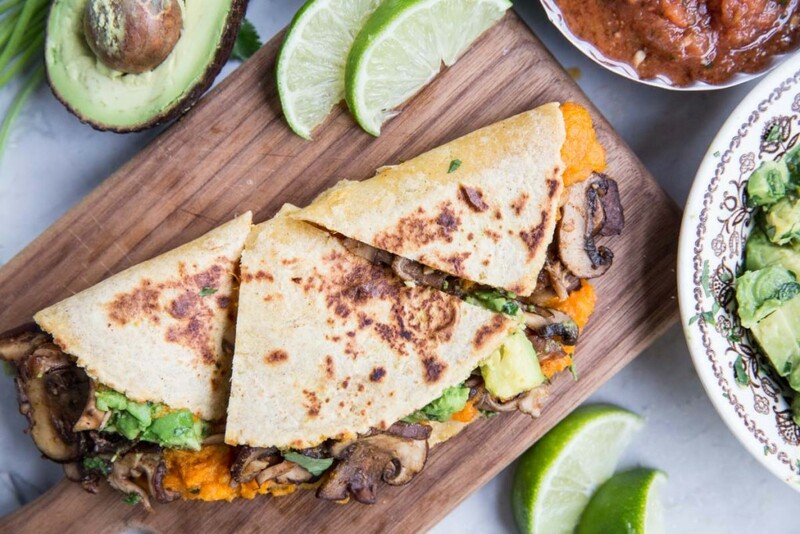 These gluten free and vegan quesadillas are totally satisfying and full of flavor with roasted sweet potatoes, sautéed mushrooms and marinated avocado. 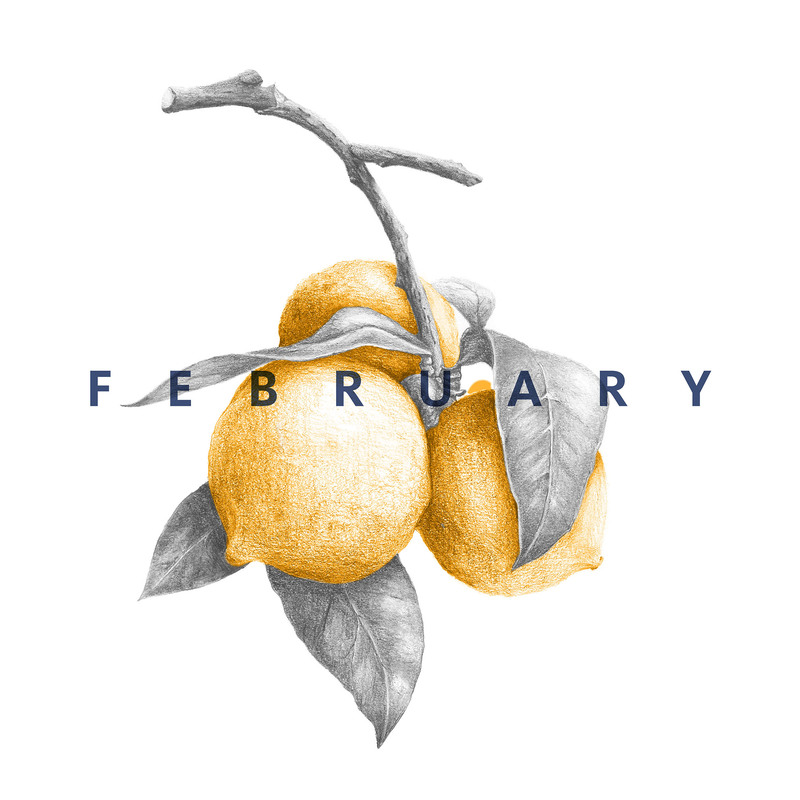 Earlier this week I shared about my travels to California with the kids, eating my way through weekend in Oakland. This is another meal inspired by that fun trip out West. Everett and I shared this massive quesadilla one afternoon outside at the Swan Market. 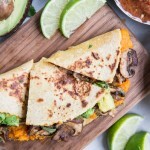 As we plunged into our quesadilla I knew after only a taste that I would be recreating this one at home. 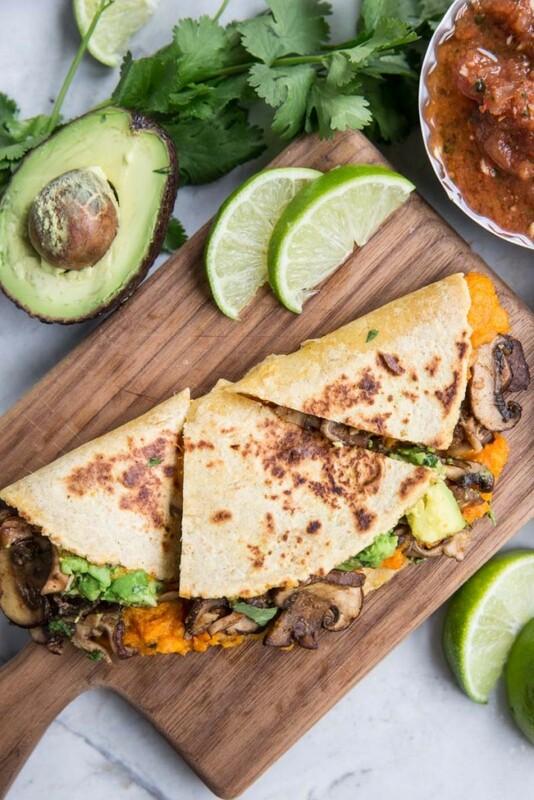 How could a vegan quesadilla taste so good. And it’s gluten free, what the heck?! AND my 3 year old mushroom-avoiding son didn’t even notice he was eating mushrooms! We fought over the last bite and dipped every morsel into the extra guac, or macahmole as Everett calls is. 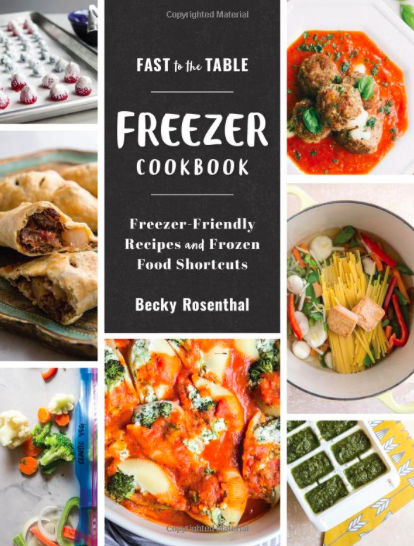 My homemade version is a super easy, kid-friendly, version of what we enjoyed that day. Start with a large corn tortilla if you can find one. 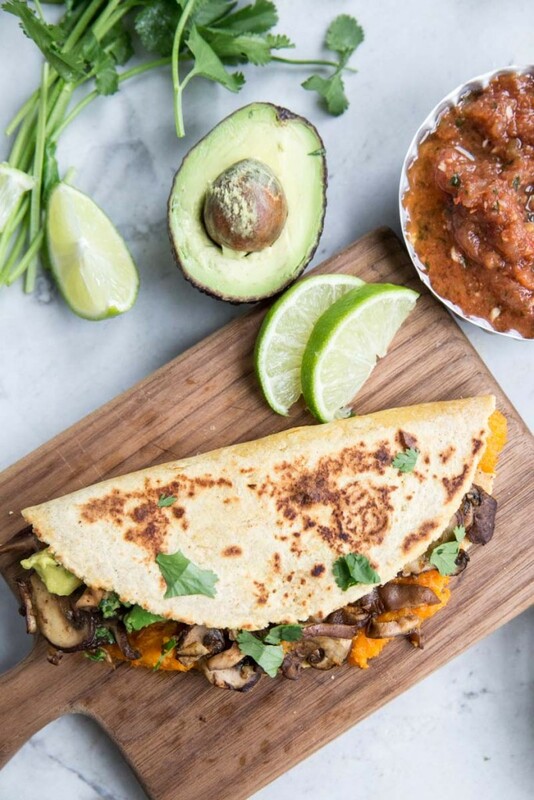 Or you can use two smaller corn tortillas and build the quesadilla traditionally, with one tortilla stacked on top of another, then cut into wedges. 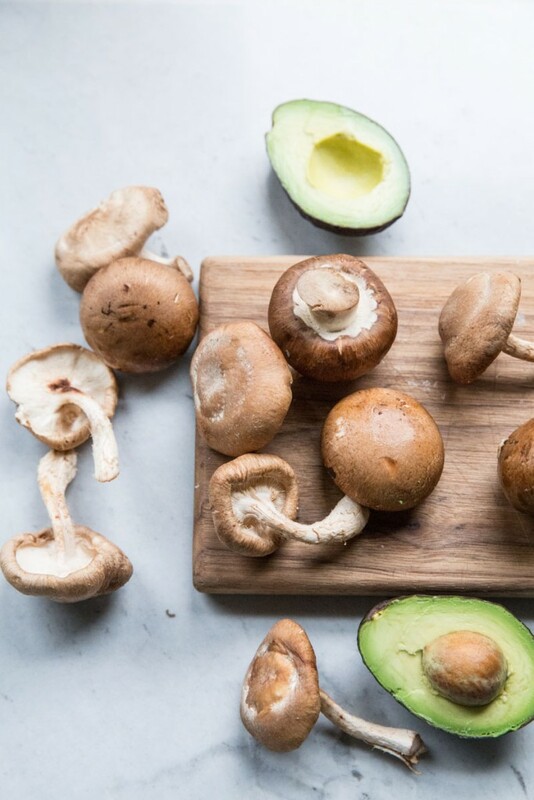 Roast a sweet potato, sauté the mushrooms, and toss the simple guacamole, then you have everything you need to build this perfect bite! We like to put the guac both on the inside and load up more on the outside for dipping, just as we did that day in California. Serve with extra lime wedges and salsa! 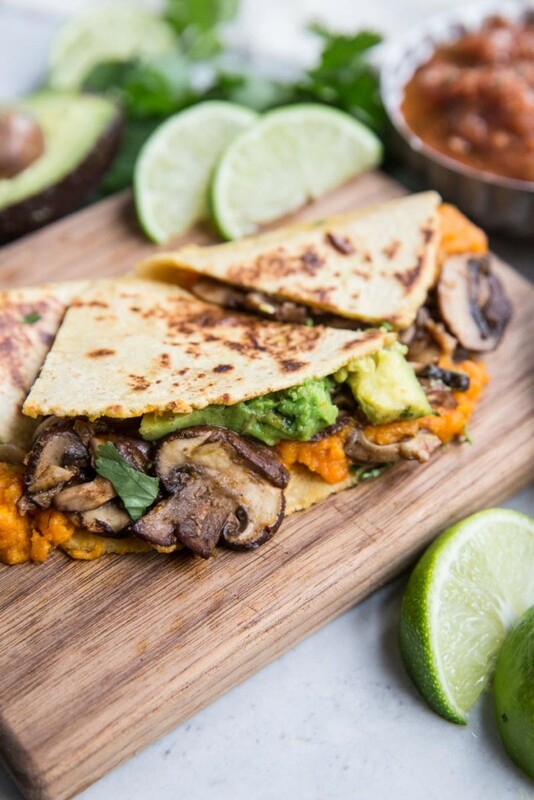 A vegan and gluten free quesadilla filled with roasted sweet potato, mushrooms, and avocado. Prick your sweet potato with a fork, then wrap in foil. Place in hot oven and bake for 1 hour or until soft. Once cooked through, peel the skin off then in a small bowl mash the potato with the cumin and onion salt. In a medium skillet, heat up the teaspoon of oil. Add the mushrooms and garlic and sauté for 3 minutes. Add in the broth and a pinch of salt and simmer on medium until the liquid is absorbed (5-8 minutes). 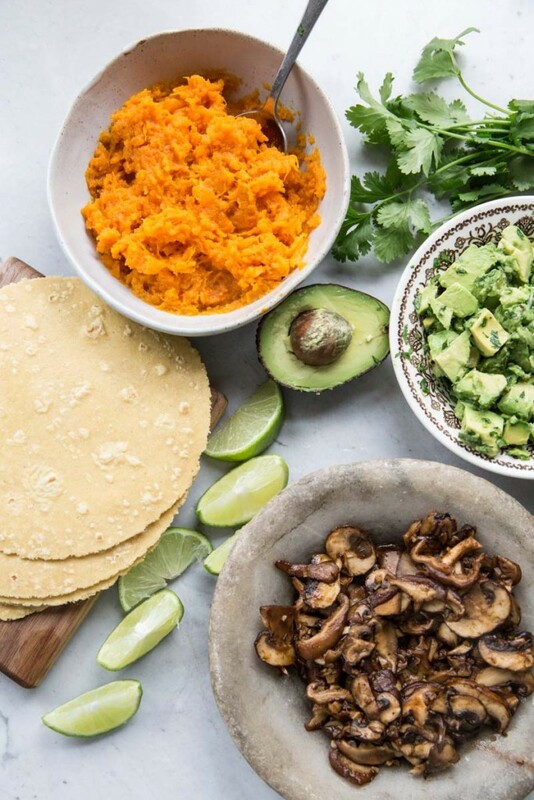 Toss the diced avocado with lime juice, cilantro and a pinch of salt. 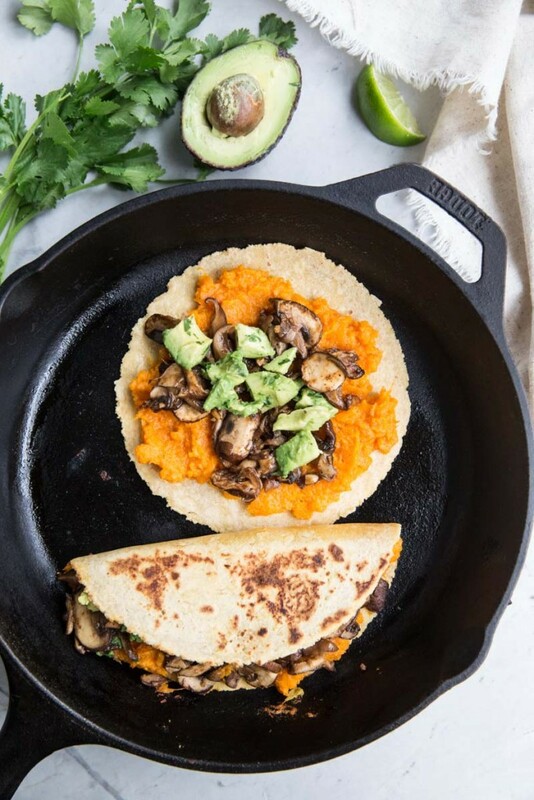 Taste the avocado, sweet potato, and mushrooms and adjust seasoning as needed. Heating up a skillet over medium high heat. 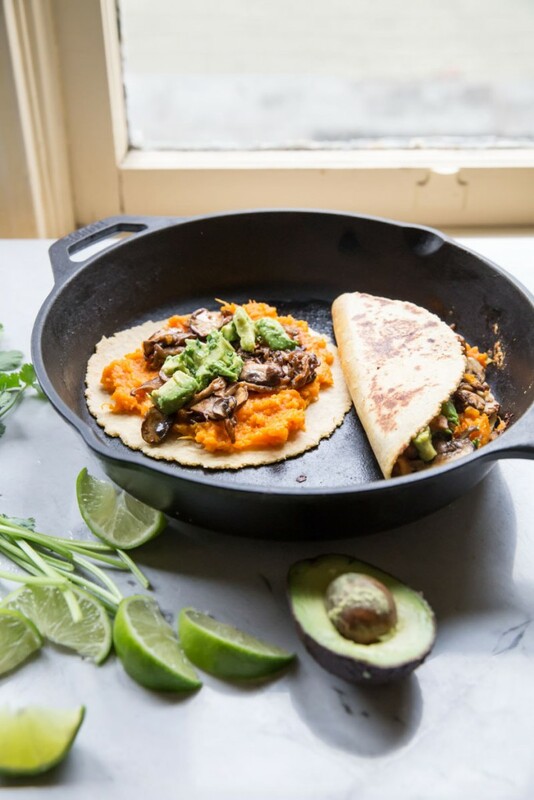 Add the tortilla then spread out sweet potato on top, add mushrooms and avocado then fold in half (if using a large tortilla) or add an additional tortilla to the top (for smaller tortillas). Flip after a couple of minutes or as the tortilla starts to brown. Serve hot with additional avocado and salsa. If your more of a traditionalist and want to add some cheese to this, a good cheddar will do the job, though I challenge you to try this one without and see what you think!